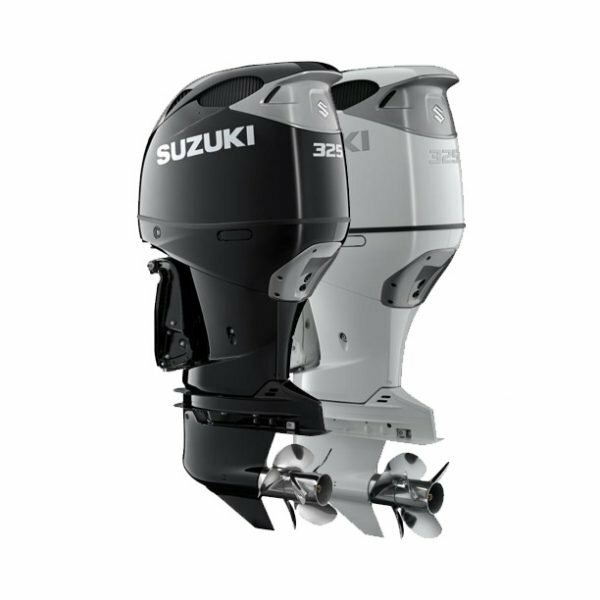 Our engineers took advantage of advances made in four-stroke engine technology and performance in designing the most powerful four-cylinder outboards Suzuki has ever built. The DF175 and DF150 deliver amazing performance but not at the expense of economy. Utilizing a 32-bit onboard computer to optimize electronic fuel injection performance, both outboards offer superior fuel economy, conform to EURO 1 emission standards, and have received a three-star rating from the California Air Resources Board (CARB). Both the DF175 and DF150 are designed to swing a larger diameter prop and feature a more aggressive gear ratio. The combination of larger prop and lower gear ratio delivers superior holeshot, which is especially valued on high-performance boats. Suzuki outboards are designed with features that make your boating experience that much more pleasurable. The DF175 and DF150 incorporate high output alternators to keep an assortment of electronics up and running, water-cooled voltage regulators with isolators that allow use of two batteries, and a conveniently located fuse box. Also featured are tilt limit switch and two engine flush ports. Our talent for delivering high-end power from compact designs is clearly evident in the DF175 and DF150. Turning the key unleashes big block performance from their 2,867 cm3 powerheads. But while their large displacement contributes greatly to producing exceptional acceleration, it doesn’t mean that they are comparatively larger and heavier in size. On the contrary, we have designed these big block motors to be compact and lightweight. In designing the DF175, our goal was to expand the potential of the four-stroke engine and create an outboard that delivers high performance along with the benefits that four-stroke technology provides. 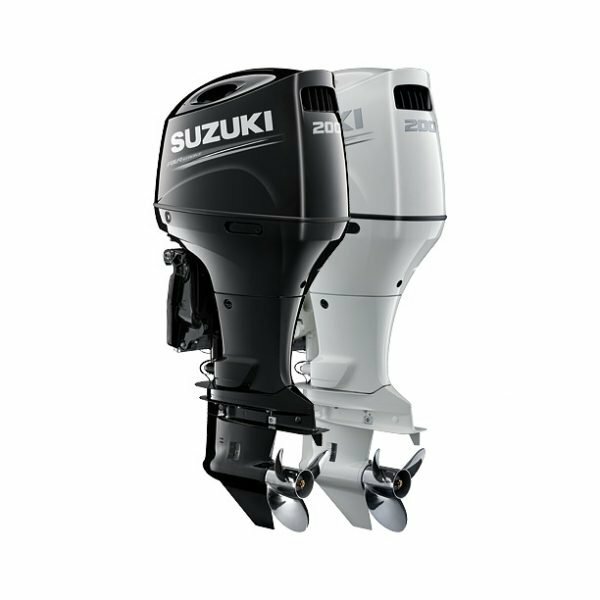 Like the flagship DF300 and DF250, the DF175 is designed with profile and paired with Suzuki’s advanced Variable Valve Timing (VVT) to increase the low to mid-range torque outboards need when accelerating. The intake valve actually starts to open before the exhaust valve fully closes, creating a momentary overlap in the timing where both valves are open. Using Variable Valve Timing, this overlap can be increased or decreased by altering intake timing with the camshaft, thereby optimizing camshaft timing for low and mid-range operation. The DF150 and DF175 incorporate a multi-stage induction system to enhance engine performance by changing the length of intake manifold pipes according to engine speed. The system utilizes two intake manifold pipes per cylinder, one for operating at low engine speed and another for operating at high. At lower rpm, air enters the combustion chamber through the longer manifold pipe, which is designed to deliver an optimum volume of fresh air into the chamber to improve combustion and boost low-end torque. As the engine speed surpasses a preset threshold, the valve on the direct intake pipe opens up letting air enter instantly into the combustion chamber. Short and lacking resistance this pipe gets a greater volume of air into the chamber, increasing the engine’s ability to breathe at high rpm, thus improving high speed power output. 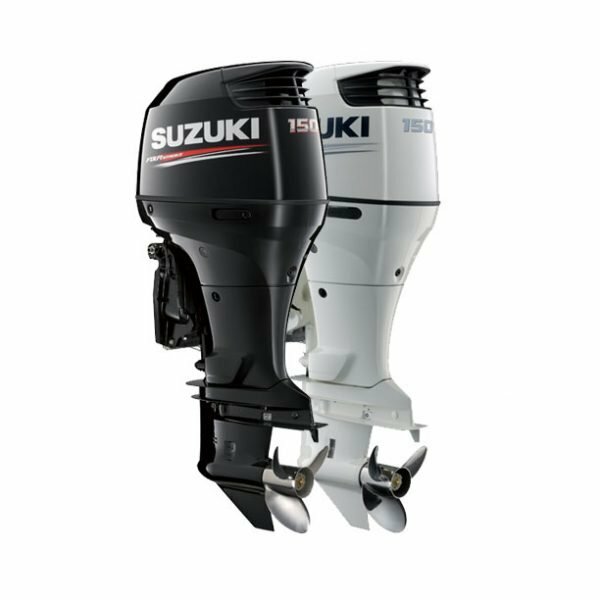 Suzuki engineers have equipped these outboards with many other advanced features that contribute to engine performance. A spherical bore throttle body produces smoother airflow during acceleration. This results in greater engine control and stable operation at low rpm. In-line four-cylinder engines operating at high rpm generates a secondary vibration that is directionally in line with the piston’s movement. In order to counter this vibration, Suzuki engineers utilize a secondary balancer system, which produces a horizontal motion against piston’s movement. To produce this horizontal motion, the balancer is divided in to left and right sections each rotating in an opposite direction. Rotating at twice the speed of the crankshaft, the balancers effectively counter these secondary vibrations and produce a smoother operating engine. First introduced in the DF115 and the original DF90, Suzuki’s offset driveshaft has proven successful in reducing the size of the Suzuki line-up, from the DF70 to the DF300. 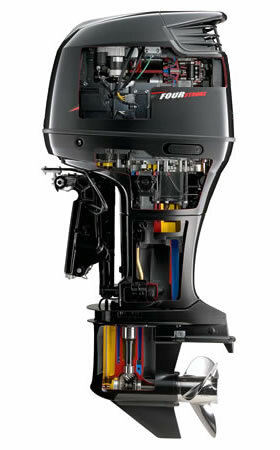 The DF150 and DF175 benefit from this same design, which positions the crankshaft in front of the drive shaft simultaneously moving the outboard’s center of gravity forward. 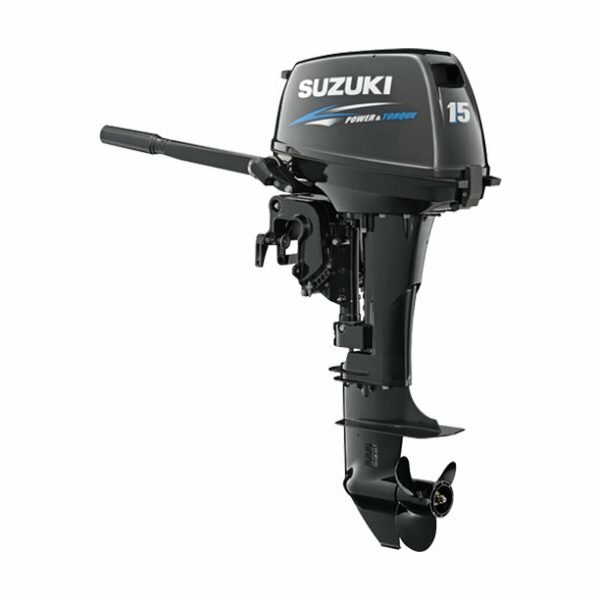 While adding to the compactness of the outboard and providing an improvement in power performance, this system also places the engine’s axis of inertia, the point where vibrations produced by the engine are at a minimum, up over the upper engine mount thus greatly reducing vibration. Suzuki’s anti-corrosion finish is specially formulated to increase the durability of the engine and protect those parts of the aluminum exterior that are constantly exposed to saltwater. Applied directly to the outboard’s aluminum alloy, this advanced finish provides maximum bonding of the outboard’s finish to its aluminum surface. Layered on top is an epoxy primer undercoat, black metallic finish, and clear acrylic fiber finish that together, form an effective treatment against corrosion.